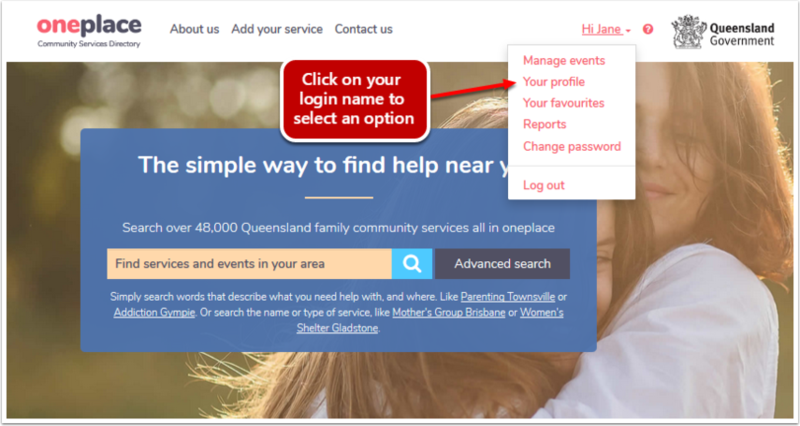 Logged in users of oneplace are able to perform a number of actions including Adding, Editing, Sharing and Deleting favourite services, sites, events and searches. Logged in users can also manage events, their profile, reports and their own password. 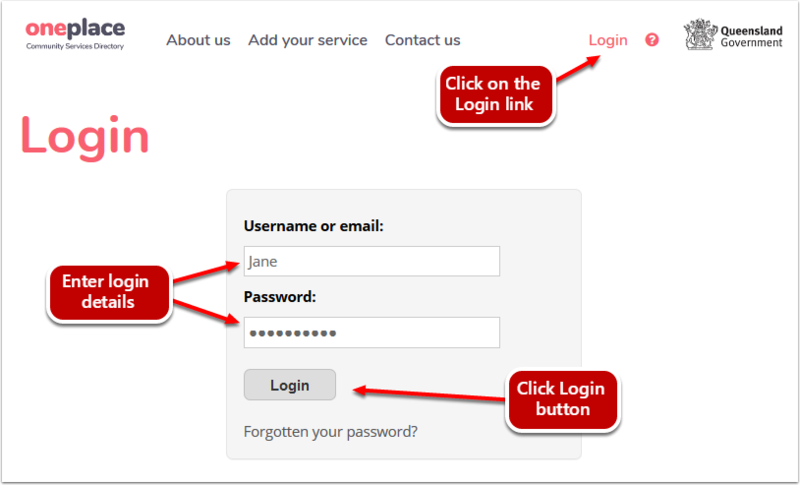 To perform any of the actions explained above, you will need to first log in. Click on the login link at the top right of your screen. Type in your username or email address. The screen will refresh back to the home page with your login name and drop down menu options at the top right hand corner. 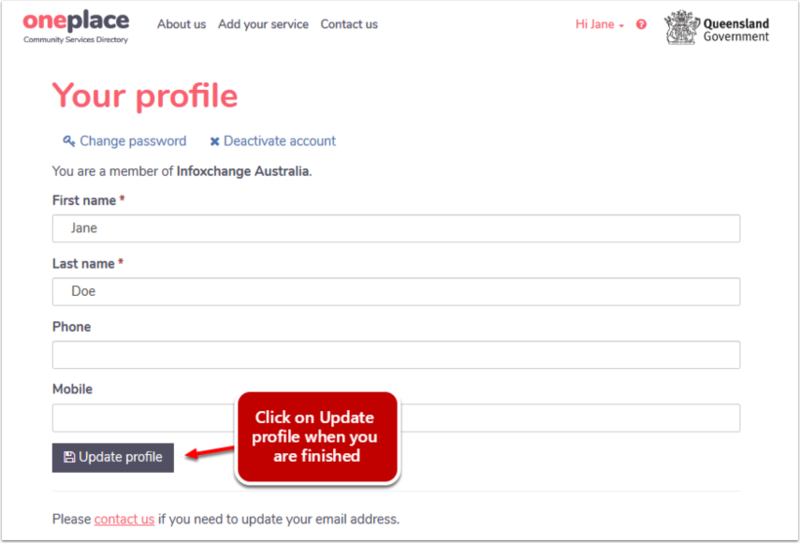 To update your email address you will need to email oneplace from the contact page to request the update.